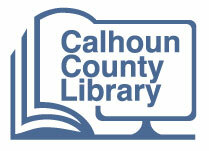 Homebound (generally confined to a residence either temporarily, due to illness or accident, or permanently, due to age, disability or other mobility problems) services are available to residents of Calhoun County who are not able to come to the Library. A certificate of eligibility must be completed by a medical doctor or other professional as part of the application process. Homebound deliveries require the use of an active library card. Delivering volunteers or staff handle the registration of patrons who do not have cards. Homebound patrons retain their individual cards. Materials are delivered once monthly. At the time new materials are delivered, items from previous delivery are retrieved and returned to the Library. There are no renewals on items delivered to homebound delivery patrons. There are no fees/fines for homebound delivery other than standard charges for lost or damaged items. All formats of materials are eligible for homebound delivery. Items in high demand may be excluded. Standard checkout limits apply. Home delivery patrons may request items available in the full SCLENDS catalog. Each delivery is limited to one bag of materials or 25-30 items. Patrons requesting services must provide a safe and appropriate environment for volunteers or staff members who make deliveries to their homes and patrons must protect all library materials in their custody.